The casino has a certain mission to accomplish. It strives to provide a gaming experience that would most closely follow the traditional casino setting model. At the same time, it is forced to deal with the limitations of the online format. Therefore, it has settled for something in-between. 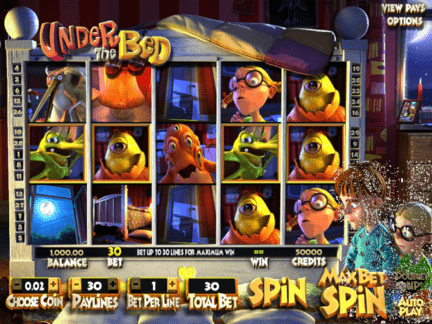 The traditional casino games are mixed with 3D slots and live games. All of this is happening on a beautifully designed website. The high quality games can certainly appeal to most players and draw new members into the world of Casinovo. The website delivers its games in association with such providers as; BetSoft, Endorphina & ICT software. If you're interested in trying this new online casino, why not take advantage of our exclusive (€/$/£) 5 no deposit bonus at Casinovo? There is no coupon code required however, to receive the free bonus, you'll need to contact customer support (via email or live chat) and request it from 'casinobonusking.com'. If they have any questions, send them this URL: casinobonusking.com/casinovo-bonus-review.php. We've been invited to promote this offer from the casino manager, but since this is a new casino, the coupon code software has not yet been installed so you must request the no deposit bonus manually. In terms of the overall promotions, the website staff has clearly given a lot of thought to the presentation of the deals. The gaming site has something for everyone. The Casinovo customer is greeted by a welcome bonus deal that is an unmistakable sign of generosity. After all, it is not common to hand out a welcome bonus of 100 % up to 500 €/$/£. Other websites typically provide a much smaller amount for starters. In order to receive the initial bonus, the player must simply sign-up, select the proper bonus and make the first deposit. After the action is taken, the visitor still has plenty of other deals to unpack. For example, the weekly cashback promotion is a reward for making a minimum 50 €/$/£ deposit. A free five pound bonus is received the very next day. The high roller is also valued here. A large contribution of 1000 €/$/£ is rewarded with a fixed 500 €/$/£ bonus. The newsletter subscribers can see all the exclusive promotional offers in their inbox. The casino is appealing to an international audience. Casinovo players come from different parts of the world. There are some restrictions in terms of who may play at the casino. Those restrictions are spelled out in country-specific regulations regarding foreign casino access. The casino endorses several currencies. In the management of accounts, the players are free to use the following currencies; USD, CAD, EURO, GBP. Canadian and British players have shown much interest in the new casino. It is likely that the casino will continue to appeal to global players, especially when all the Casinovo promotional deals are take into consideration. The Casinovo Casino main page (casinovo.com) displays the list of their most popular games. This list may serve as a guide for someone who wants to know which games are worth checking out immediately. At the top of the list, the visitor will find the following games; European Roulette, American Blackjack, Poker Heads Up and Baccarat. However, the less popular games provide just as much excitement. It is worth mentioning at least a few of them; Mega Gems, More Gold Diggin, Sushi, Lost, Safari, Glam Life, Mr. Vegas, At The Copa, Gypsy Rose, Spanish Blackjack, Ties Win Blackjack, Poker Madness and Mississippi Stud Poker. The games are instantly available with the flash format. The Casinovo jackpots are frequently associated with the BetSoft slots. Since BetSoft is one of the casino partners, the player can expect to benefit from the association with the game maker. Their jackpots may not be as large as the ones from other companies, but the developing company is becoming a serious contender for the top spot in the industry. Recently, the casino was running a promotion in which seventy-five thousand pounds were up for grabs. The winners of such a sum would certainly be considered lucky. The Casinovo players are largely satisfied with what they find inside the venue. No negative reviews have yet been found. Some players have expressed their appreciation for how the games are lined up. They love the place for its entertainment value. They're probably also drawn to the frequent jackpot promotions. The particular site has received its license from the Government of Curacao. The website was launched in 2015. The website is now accessible in English, French and German. The elegance of the Casinovo website makes the visitor want to go back to the place. It is filled with the most exciting games and promotions. Therefore, the casino deserves the highest endorsement.